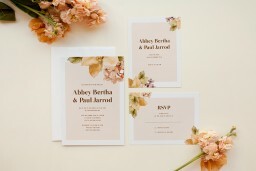 This beautiful Blooming Day collection by independent Aussie designer Inggrid is inspired by the changing of seasons and would look fantastic for those planning a Floral & Bottanical ceremony or reception. 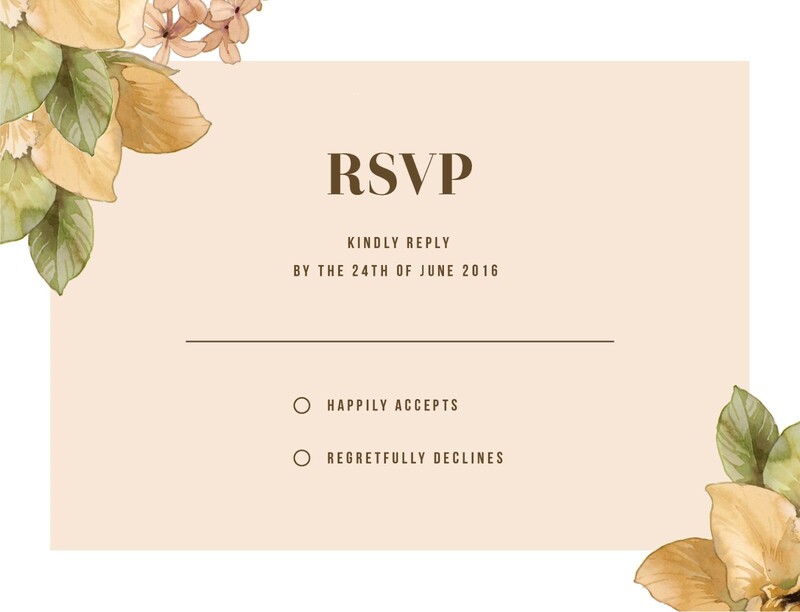 This RSVP card from the Blooming Day design collection looks fantastic when printed using Digital technique and we think it looks best on linen. This card is a master piece. It looks good in all three colours and the hardest part is to pick the best colour out of the three available.